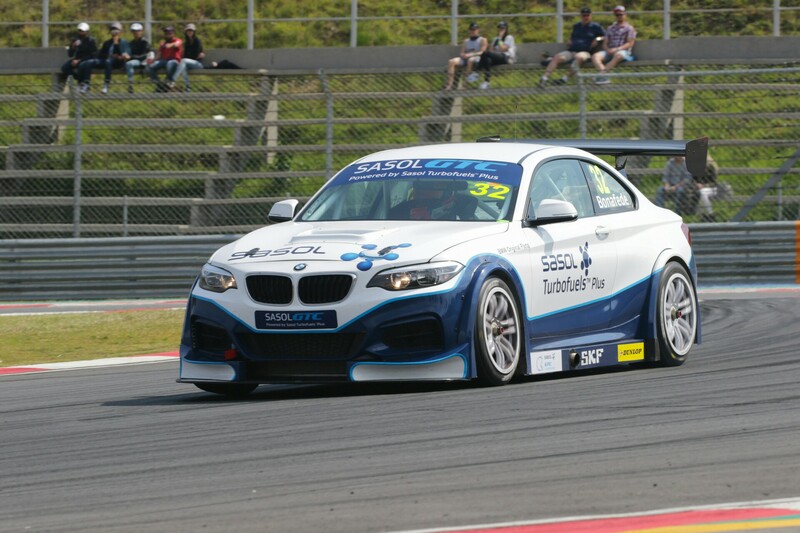 Gennaro Bonafede (Sasol BMW) claimed his third win this season, and preserved his 100% record, when he took a comfortable win in the opening GTC race at the Kyalami Grand Prix Circuit earlier today. Simon Moss (Engen Xtreme Audi) finished in second with Johan Fourie (EPS Courier Services BMW) completing the podium. 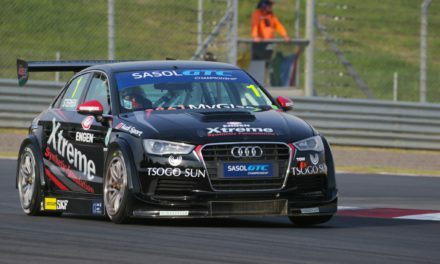 Michael Stephen (Engen Xtreme Audi) was the early leader closely followed by Bonafede with a small gap back to Moss who led a five-car fight for third. 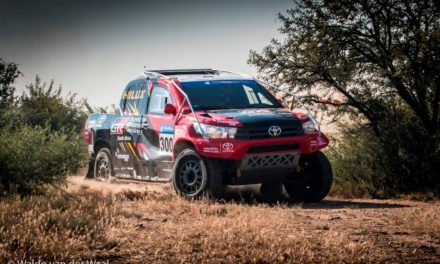 With Moss doing all he could to keep Fourie and the rest of the chasing pack behind him, Stephen and Bonafede were able to open a gap at the front of the field. Stephen’s reliability problems returned and he slowed, dropping him down the field to eventually cross the line in seventh, a lap down. 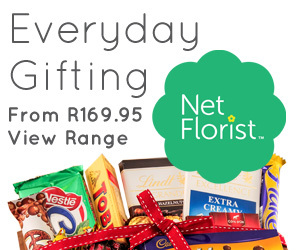 Stephen’s misfortune promoted Bonafede into the lead, a position he held until the flag. 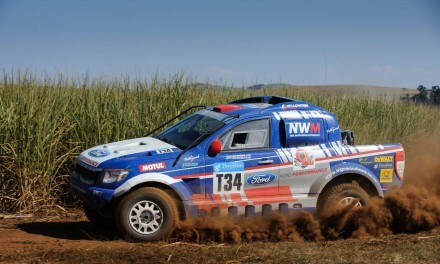 Despite an off track excursion on the final lap, Moss managed to keep Fourie behind him to take second. Mathew Hodges won the battle of the Volkswagen Motorsport Jettas, taking fourth ahead of teammate Daniel Rowe. 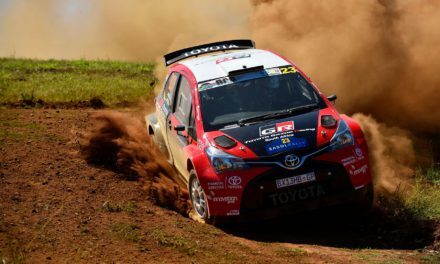 Robert Wolk (Sasol BMW) ended a lonely sixth while Michael van Rooyen (RSC BMW) was classified in eighth although he did not take the flag, stopping on the track with a driveshaft problem. Can anyone stop Poulter and Coetzee?